Rabble is raising £250,000 investment on Crowdcube. Capital At Risk. 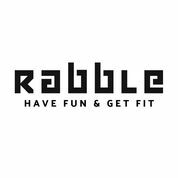 Rabble is a licensed fitness programme that makes exercise easy by disguising workouts as team-based games. Rabble was founded by Charlotte Roach - a former international athlete - who dreaded the grind of the gym; without a goal, exercise seemed unnecessarily repetitive and lonely. Wanting to include regular exercise into her lifestyle for the long term, she designed Rabble, a gamified fitness program that doesn’t feel like a chore. Rabble sessions are so much fun that we repeatedly beat industry retention rates, whilst the communities built around our classes are incredibly strong with 6 Rabble marriages already and even a Rabble baby on the way! We license our program to individuals wanting to launch a local Rabble community using a proven, scalable business model where market leaders earn $100m+ in revenue. This has been a huge success - We have seen rapid growth, over 100 new licenses joining us across the UK (and 1 in Denmark!). Rabble is helping to solve the global problem regarding physical and mental wellbeing. A study by Loughborough University has shown that Rabble is beneficial for participants’ mental health (87%) and physical health (94%), with 85% more motivated for Rabble than other forms of exercise. You can help us change more lives; with this finance raise we plan to grow to over 300 Rabble sites in the next 12 months, and we’d love you to be part of our journey. To see the rest of the Rabble pitch, join now. Join to read more information about the Rabble team, documents, and what other investors are saying about the pitch.